We caught up Martin Larsson of Swedish dream-pop band The Radio Dept. before their gig at The Troubadour last week. Along with the trio’s critically acclaimed third full-length, Clinging to a Scheme, this album cycle saw the band touring the United States for the very first time. They’ve experienced a steady stream of open arms, and L.A. was no exception. Aquarium Drunkard: Clinging to a Scheme is the first release where critics finally started to take notice even though your previous releases all have a very familiar sound. Why are critics finally picking up on this? Martin Larsson: I have no idea, actually. I could speculate that the Marie Antoinette film made us a bit more popular but I really don’t have a clue. AD: It’s puzzling to me, and most fans, because all of your albums and EPs share this similar dreamy sound and sense of longing. ML: I think that sometimes it needs to spread organically and that sooner or later we would get noticed. But it doesn’t always work like this. Maybe friends have told other friends and it’s slowly grown. That’s what I hope happened because that would be the best reason. AD: This past year was your first North American tour. Were there any expectations from within the band? ML: We honestly really don’t like the live situation too much. We like playing live but it’s harder for us to control, and we’re really hard on ourselves and self-critical when it comes to recording. You can’t apply that in a live situation. You need so many people around you to do it right and it’s a hard thing to do, and we’re always nervous about making fools of ourselves. But the tour has been really positive and people here in America are so nice. It’s been very rewarding. AD: While on tour, has there been any scenery or places that could possibly influence future music? Were there specific places in America you all wanted to visit? ML: There are lots of places that stood out. And the inspiration; you never know where that’s truly coming from. You can’t always pinpoint that. We haven’t started to record anything new so we don’t know exactly what’s going to influence that, but somehow it always does. We love the United States and have seen so many great places. AD: You guys should move here. America loves you. ML: Ha. I have a hard time with the two-party political system. If you don’t like either party you’re pretty much screwed. AD: Can you describe any show or moment on this tour that really reinforced the reasons you play live music? Where you felt that touring was worth it? ML: We’ve had those situations before, but it was almost constant for the entire American tour. Coachella was kind of strange. We were a bit disappointed about the sound but people told us it sounded great. I really enjoyed the last time in L.A. at the El Rey. It was such a beautiful venue and the crowd was so nice. I also really liked Boston, Seattle and Portland. But it was all good, so it all stood out. AD: What are the lyrical themes or sounds that define The Radio Dept., or sounds that tie-in all of your releases? ML: It’s the vocals. The only constant thing in our music is Johan’s voice. It’s always the same instrument. For example, you could have more synthesizers or multiple bass lines but Johan’s obviously not going to change that or sound like a new singer. You don’t want to mess with that either — making too many changes in the vocals. That’s the main thing that holds it all together. You always want to try new things and explore. Maybe we tend to be safe at times and use a lot of the same synthesizers or gear. It took a long time for Clinging to a Scheme. I don’t know if you’ve read but we recorded about one hundred songs. AD: But you guys always have a good amount of new music and EP releases between albums. ML: Right. And some of our favorite music has been released on EPs. When we were much younger, My Bloody Valentine’s You Made Me Realise was what we always strived to be. An EP can still change your life. It doesn’t always have to be an album. An album really defines you in a way, and its kind of boring to be defined when you’re trying to be creative or do something different. It’s also scary when you’re as self-critical as we are. You really think “this is going to define us for the next three years and what people will think of us”, and we can’t change that so we want to have a balance. AD: But that’s also changing across the board. You can be a band or solo artist and gain popularity through one single or a handful of songs. Everything is accessible and the older formats don’t apply, or do they? ML: I really love the idea of an EP. You don’t have to think and just do what you want. You don’t have to go through the whole media cycle and neither does the audience. AD: What are the band’s proudest moments or is there a specific release you all love? ML: I’m quite proud of everything we’ve done. No, really. I don’t a specific release. It’s really hard to let go of an album once we’ve started. Johan and I really feel sick when we’re releasing the masters to be pressed. It’s really not a good feeling (laughs). AD: You’re no longer in control of what’s going to happen. It belongs to everybody. ML: Yeah, that is it. AD: What’s in store for the band after the Pitchfork Festival this summer? 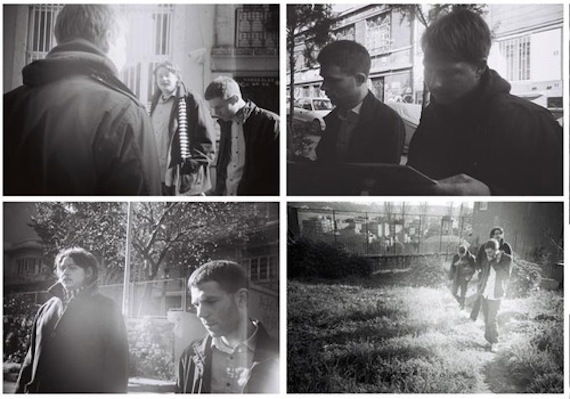 Posted on June 2, 2011 July 16, 2011 The AD Interview The Radio Dept.